Diemaking Supplies – Ruling Tools – AmeriKen Online! 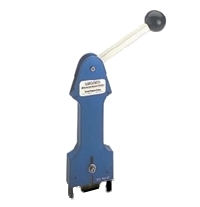 Handy rule cutter is designed to cut 2 and 3 pt rule. Also works well when cutting coil or as a universal cutter when away from the bench. The world’s fastest rule sharpener. 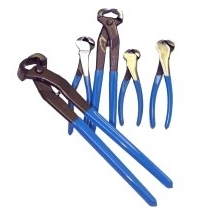 Replacement blades and scissor sharpener also available. Use these standard mechanic’s tools for pulling rule from dieboards at a fraction of the cost of “expensive” types. A large selection of sizes is available. Call for details. The rule setter ensures your rule is inserted undamaged, perfectly seated, and level with every other rule in the dieboard. 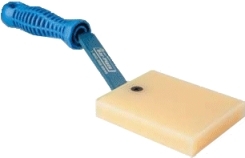 Use the mechanical rule puller for pulling rule from dieboards in a fraction of the time of hand rule pullers. 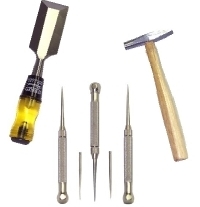 AmeriKen carries a large variety of miscellaneous ruling tools, including digital and paper micrometers, tack hammers, pocket scribers, and wood chisels.